Hints and Tips: Most Important… make sturdy dresses. We need a dress that will last!! Many of these dresses will be washed in rivers or on a washboard with harsh homemade soaps. When choosing pillowcases or fabric put your hand under the fabric if you can see the outline of your hand then that fabric is too light!! And any dress made out of it cannot be used. 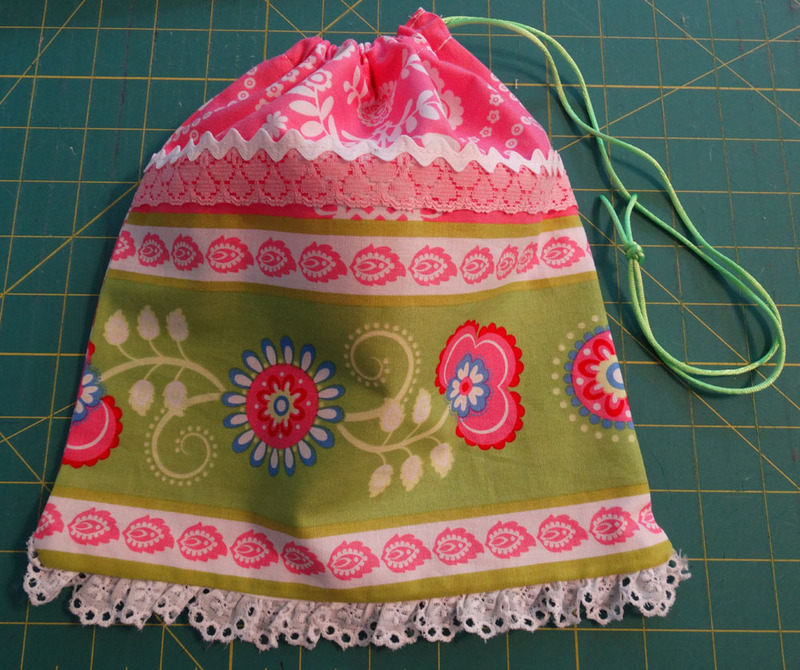 If you have fabric or a pillowcase that is too lightweight, use it to make bias tape. Or if you have a wonderful antique pillowcase and the fabric is too lightweight use another pillowcase under it as a lining... cut the tops and armholes at the same time and sew them as if they were one pillowcase. 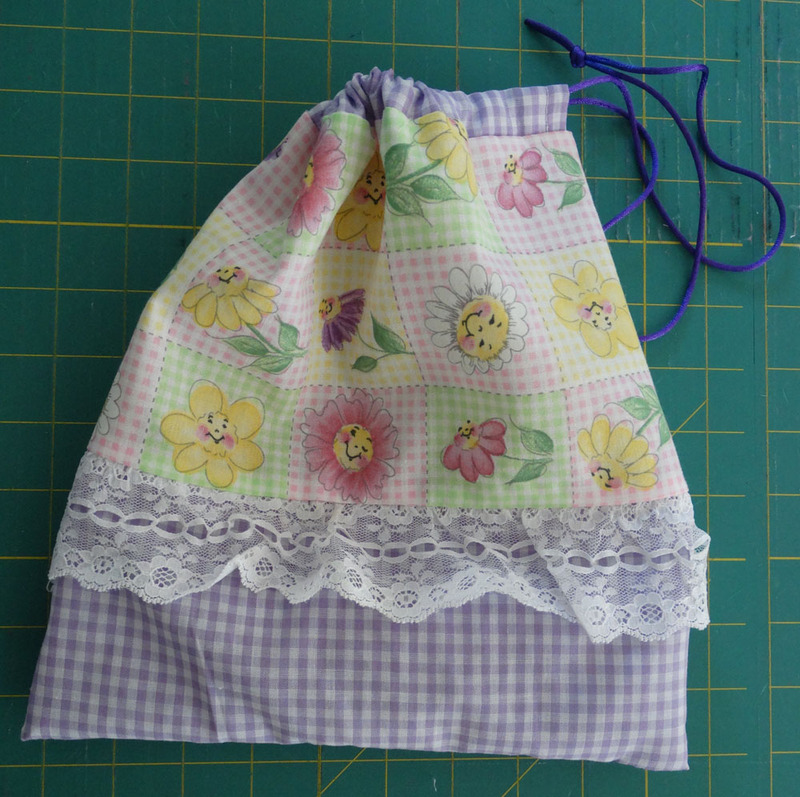 Other suggestions include making a pinafore over top of the lightweight pillowcase or line the lightweight pillowcase and use it as the skirt on a t-shirt dress. These ideas can be done before you make the dress or, as a solution when receiving dresses made out of lightweight material. Please make straps out of bias tape not flimsy materials. And only use items intended for garments. Everything must be washable. No craft ribbon or raffia. When making a longer dress make a kick pleat at the bottom and reinforce the top of the kick pleat inside of dress. Always... did I say always... yes always backstitch at the ends of the bias tape... and especially where the bias tape joins the top of the dress (both back and front) and at the top of the pockets. We have found that making the elastic one-inch longer for the back casing of the dress makes for a better fit. We generally use ½” or ¾” for the casings. Please attach all items by sewing… Not by gluing. When adding appliqués please finish the edges. They are sew cute and they add sew much to dresses... check and see if your sewing machine or serger has a ruffling foot... it makes these cute accents go sew much more quickly. When making a fabric tube I often put the seam in the center back because it just looks more like a regular dress with the seam there. Whether you put the seam in the back or on the side please make sure that it is a serged seam or that you finish that seam off in some way... zigzag the seam after straight stitching it or french seam it. If you just straight stitch the seam it will ravel and that dress will not last long! Be sure you totally enclose the selvage in the seam. Terrific suggestions. Where can I find a pattern for these dresses? I have emailed you the pattern... if you don't get it let me know! !